Since the Apple TV debuted in the market with dual core processor, many users have found out it useful but only with jailbreaking the firmware. As we know, Apple has combined the iOS devices features with other iOS devices like AirPlay of iOS devices with Apple TV to mirror the display on bigger screen. However, still Apple TV is not much impressing to replace it as the primary set-up box for entertainment. In the past, we have seen number of under process projects for the Apple TV by third party developers with help of jailbreaking, like converting Apple TV into a small web server, and playing games on the Apple TV all things become possible on A5 powered Apple TV with jailbreaking. In addition to these undergoing projects, the infamous iOS developer Steven Troughton-Smith teamed up with other iOS developers and kick out another project in the process, which will allow users to run applications on Apple TV like iOS devices. 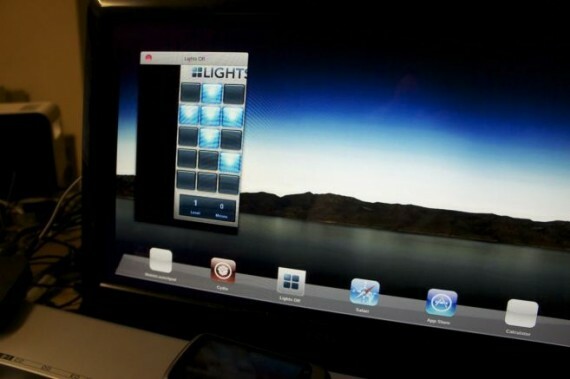 The team is not just trying to make the project possible, they actually have done with the starting process, and successfully able to run applications on the Apple TV with help of other developers tool like rewrite version of iOS springboard and the complete custom version of the Apple TV firmware, which allows them to run application on the device. The developers has done a lot of work on the Apple TV firmware, and rewrite the firmware completely to include couple pieces of code into it to make applications run on the A5 processor. The developers has not announced or hinted any release date of this hack, and seems they require a lot of work before making it public for the Apple TV users with jailbreak. 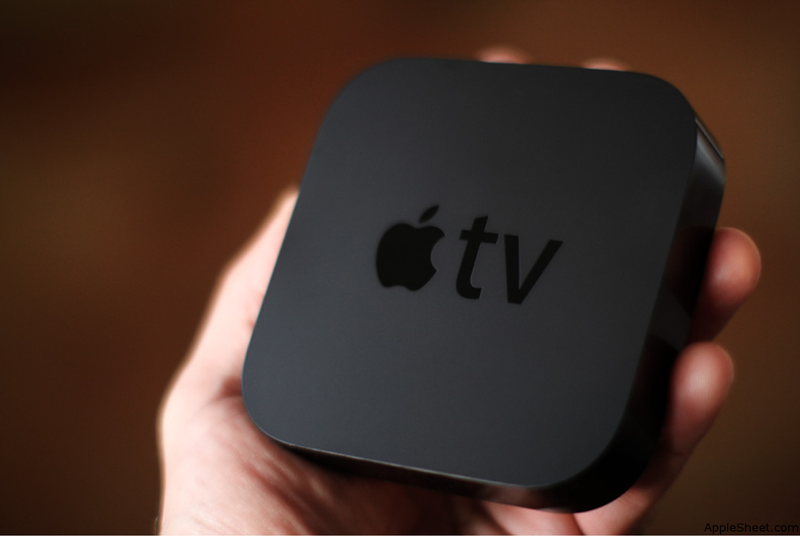 Apple has pushed out a new software update iOS 4.4.3 for the Apple TV, with mysterious change log. Apple has not yet provided the detail information about the new version to specify what improvements are included in this Apple TV software update. The new Apple TV software update arrives as Build 9A4051, comes right after the releases of a series software update last month Apple has faced some issues last month with the launch of iOS 4.4.x for Apple TV, and quickly had to resolve the issue with an alpha release of Apple TV software last month. The iOS 4.4 for Apple TV to carry the latest iCloud’s Photo Stream features, as well as many other features in addition with fixes over previous un resolved issues. Maybe you have heard this morning that Apple has released an update of iTunes 10.5.1 beta 2 developers who carry numerous of bug fixes and the new support of iTunes Match for Apple TV 2 on the latest Apple’s release iOS for Apple TV 2. So Apple has not published a basic tutorial on how to activate the iTunes Match on Apple TV, but don’t worry we are here with easy steps to activate iTunes Match on your Apple TV. As we all know, iTunes Match is currently in beta and only available to the developers inside the U.S. 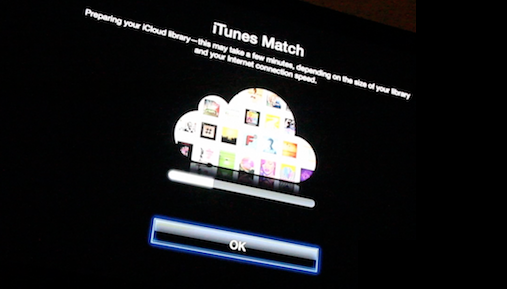 The launch of iTunes Match delayed for the third time, due to end time error in the servers of iTunes Match. However, it seems that Apple has been now in the final stage with the launch of iTunes Match. Step 3: Wait for iTunes Match finish processing your music. At least wait until it begins uploading the music and artwork it can’t match. Apple has recently kicked out the couple of Apple TV firmware updates in an act to keep its users updated with new features of iOS 5, but at first they kicked out the buggy version which caused many errors on the user’s devices, but later they quickly pushed another update to the firmware finally with at least a fix for the problem. Apple TV seems to be working not perfectly on the new firmware 4.4.2, because many users had bricked their devices while updating to newer version. While Apple was busy in fixing all of these issues on Apple TV, the team behind the most popular jailbreak tool “Seas0nPass” for Apple TV has just launched the new version of the tool to support the Apple TV jailbreaking on 4.4.2. The new Seas0nPass jailbreak currently only supports the tethered jailbreak at that time, which means you have to connect your TV set-up box to the computer on every boot of the device. 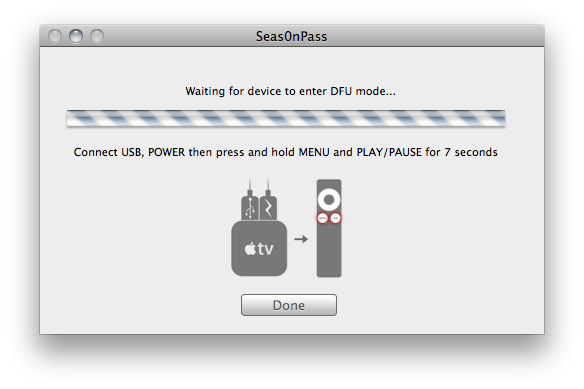 However, on the other hand, you could get a lot of plugins on your Apple TV to make more out of from it. You can check out the list of current working plugins with the latest Apple TV 4.4.2 firmware jailbreak. So if you are still interested in jailbreak your device, all you have to do is download the latest iOS 4.4.2 firmware for Apple TV from the official website and to download the Seas0nPass for your machine from its official FireCore website. You can also get the tutorial on how to jailbreak, the Apple TV on 4.4.2, right on the FireCore’s own website. While staying with Apple next generation products it is hard to say that running anything on their products is not possible. There are many people who love to modify their devices and unlock their features to other end to make more out of it, and therefore those people love to jailbreak their consoles and devices. In the past we have seen by jailbreaking your iPhone or any other device, you will able to run anything on it or modify it to your needs. Just like iPhone, we have also seen that some folks around the globe have done some awesome working with Apple TV 2G and turn it to a mini server, with help of little programs. We have got another spicy thing in jailbreak community, which may force you to jailbreak your Apple TV, the report comes from the folks of appletvblack, whose managed to jailbreak their Apple TV 2G and played a simple HTML 5 supported game “blackjack” on their Apple TV. These guys done this work with help of Couch Surfer, a new web browser for big screen consoles, well this is not a big think if we look around in market, but at least through this we found that Apple TV 2G has capabilities to play such type of media and allows you to play game, which Apple not going to allow users by default. Well we can see that, if the hack really works awesome, than may be after sometime we have Apple TV 2G supported games soon in Cydia.